Hey guys! So I'm back with my second IMWAYR! It's hosted by Unleashing Readers and Teachmentortexts. 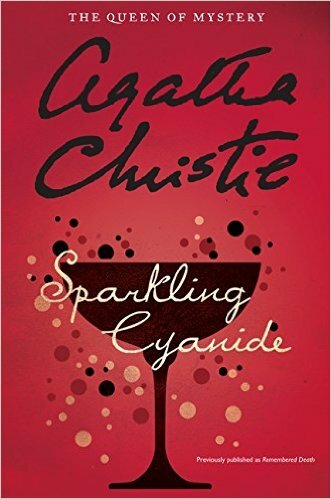 This week I started, and finished Sparkling Cyanide by Agatha Christie. It was a very interesting story, and I really liked the ending of it! It's a must read for anyone who loves crime. 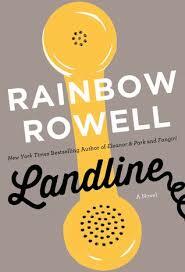 I also finished Landline by Rainbow Rowell. I quite enjoyed it, although not as much as I enjoyed Eleanor & Park. You can find my review here. I started "A Little Love Song" by Michelle Magorian. It's interesting so far, although I wasn't very convinced by the synopsis. I picked it up because I was in dire need of a book! I'm still waiting to re-start The Zahir by Paulo Coelho. You can see I haven't read much this week. Vacations start on Wednesday, so hopefully my next IMWAYR post will have tons and tons of information! Happy Reading! The Magorian book is new to me, & I loved her way earlier book, Good Night, Mr. Tom. Hope you enjoy starting your vacation & reading more!